Just a week or so after reporting that a deal was eminent between mega-brands Hyatt and Starwood, we can now report that Marriott has swooped in and purchased Starwood, creating the world’s largest hotel company. The combined firm, which will include the Sheraton, W Hotels and Ritz-Carlton brands, will operate or franchise 1.1 million rooms in more than 5,500 hotels. 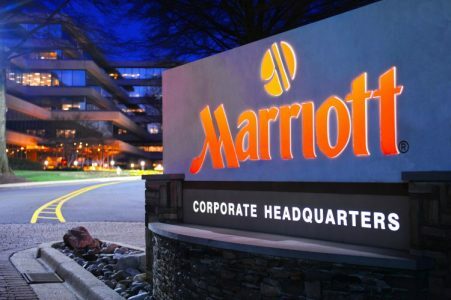 Marriott will pay $12.2 billion for the acquisition in a cash and shares deal. While it’s too early to tell what effect the merger will have on travelers, LoyaltyLobby, a website focused on loyalty programs, chimed in with its own take on why travelers have good reason to be worried about their reward points: “Let’s hope this merger won’t go like the United-Continental one where the worst of both worlds was mixed to a giant mess. Only time will tell.” To read more about the possible effects of the merger at Time’s website, click here.